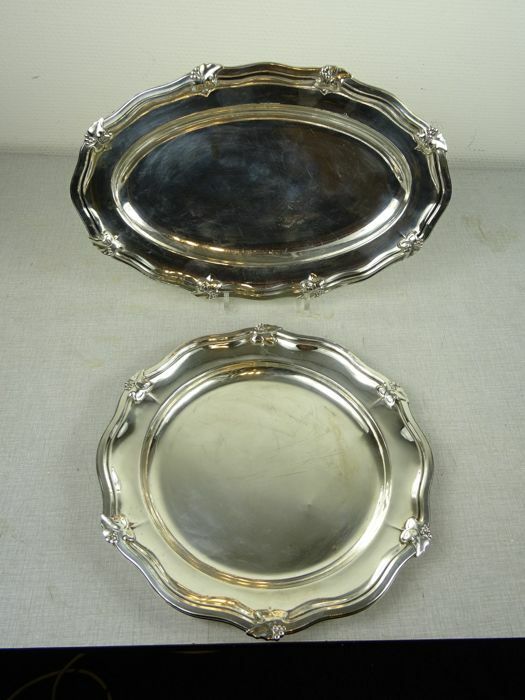 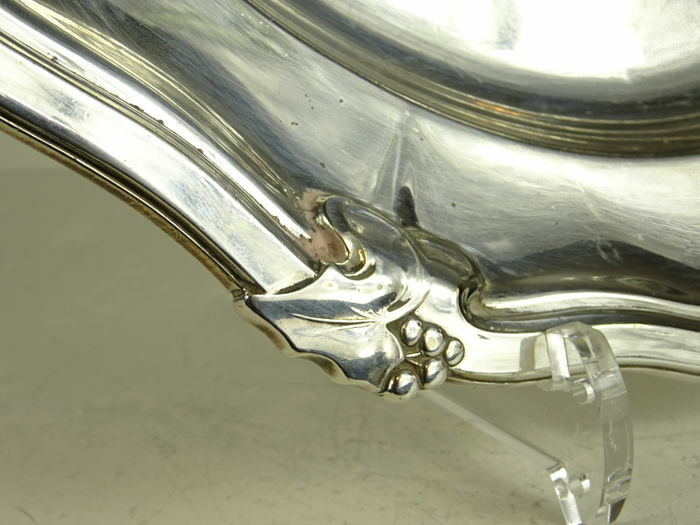 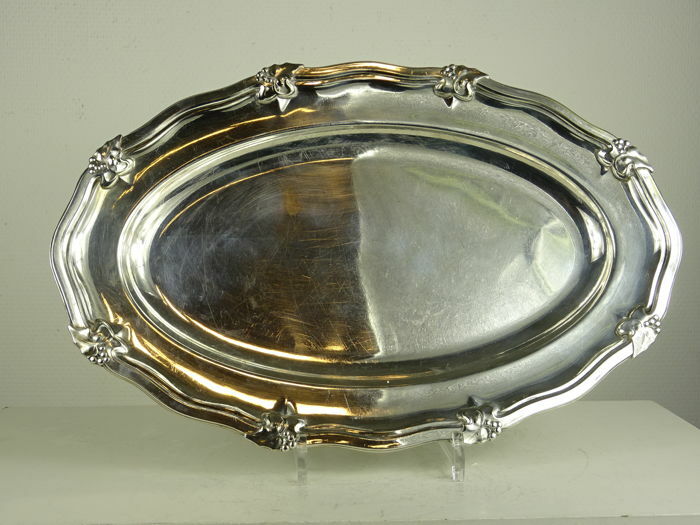 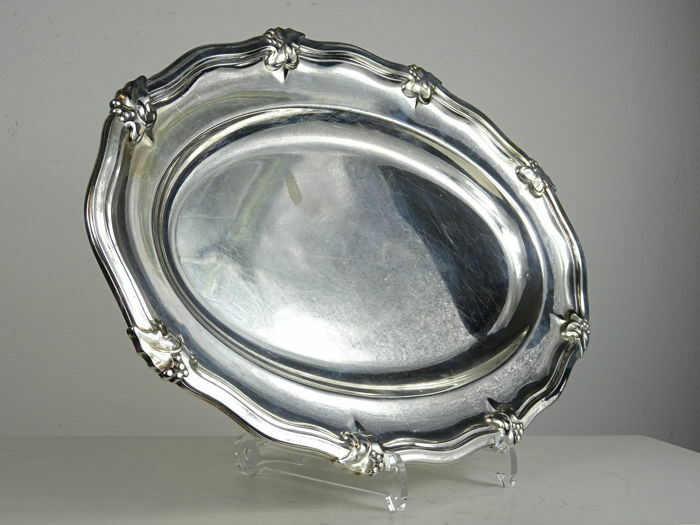 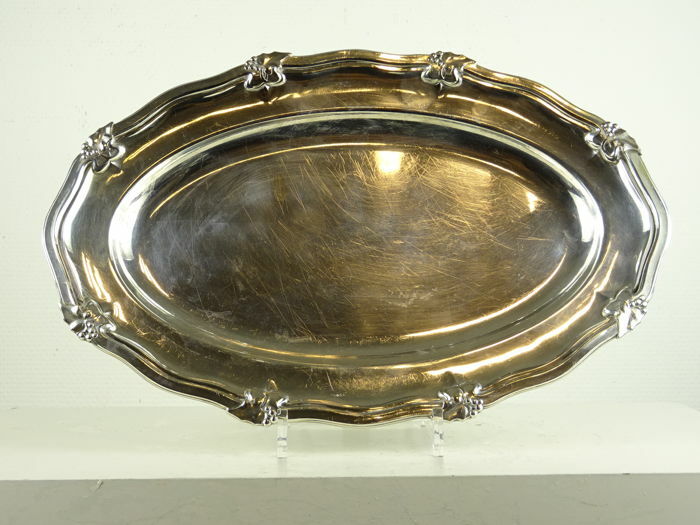 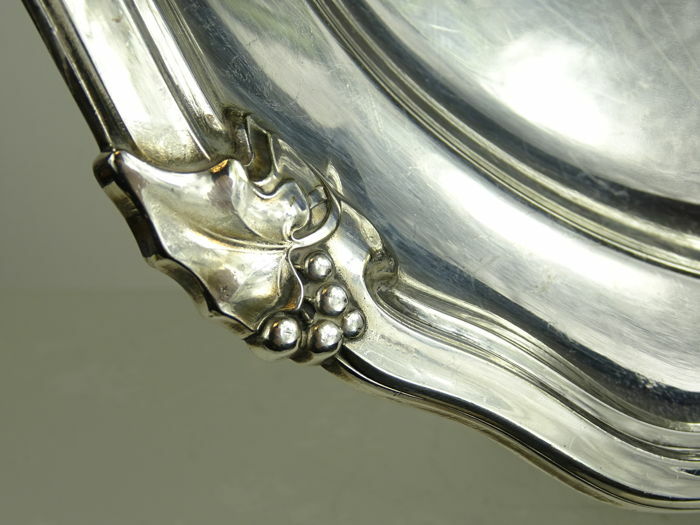 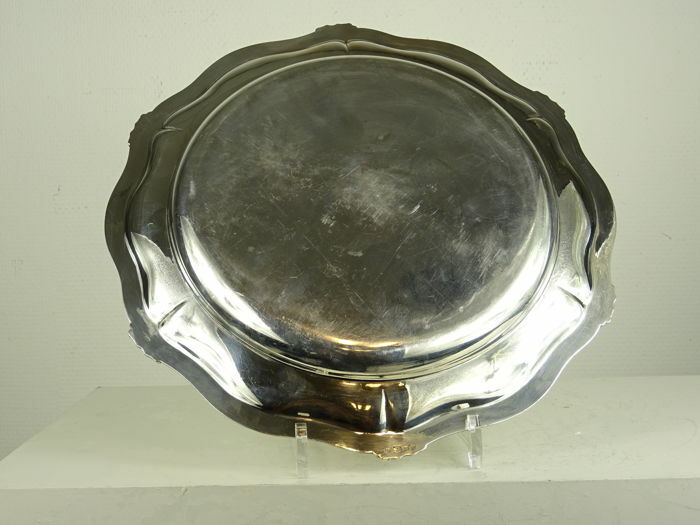 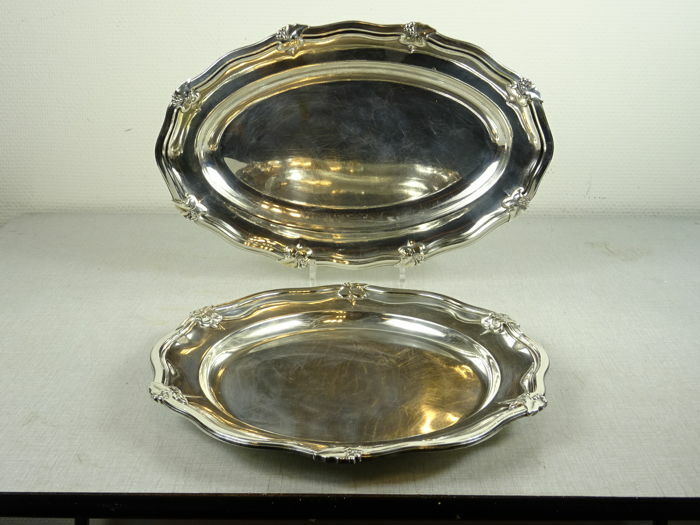 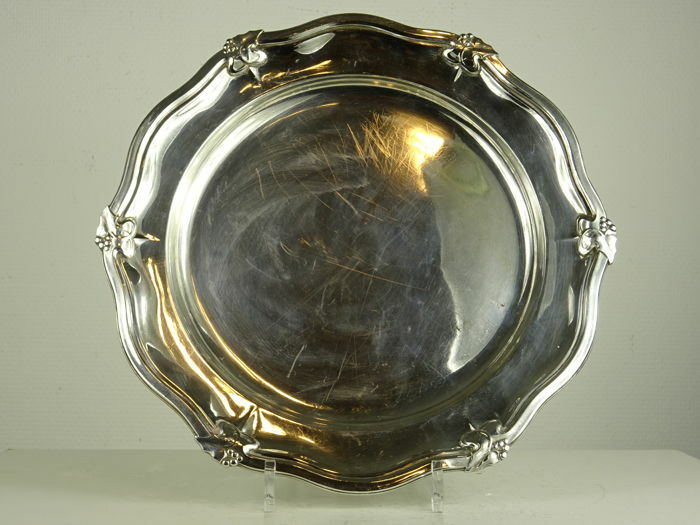 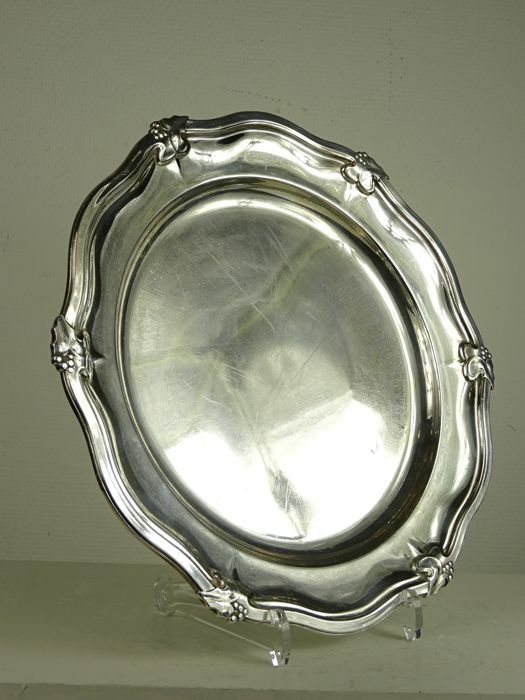 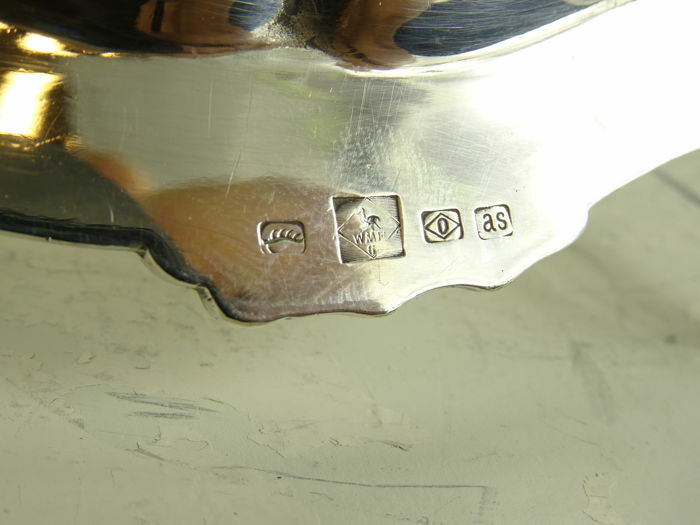 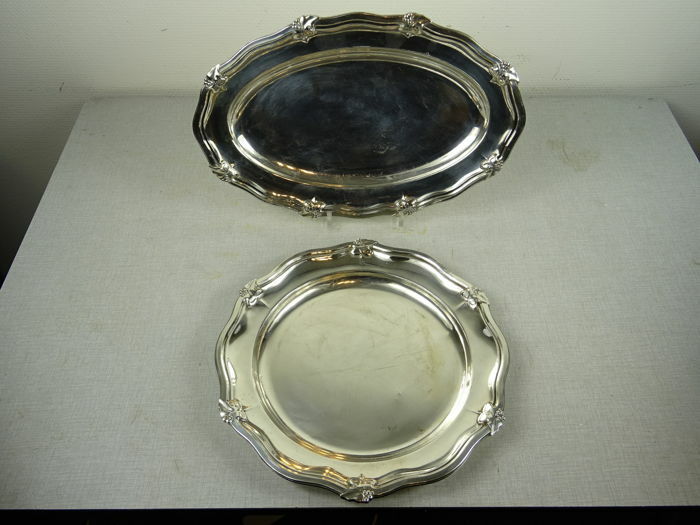 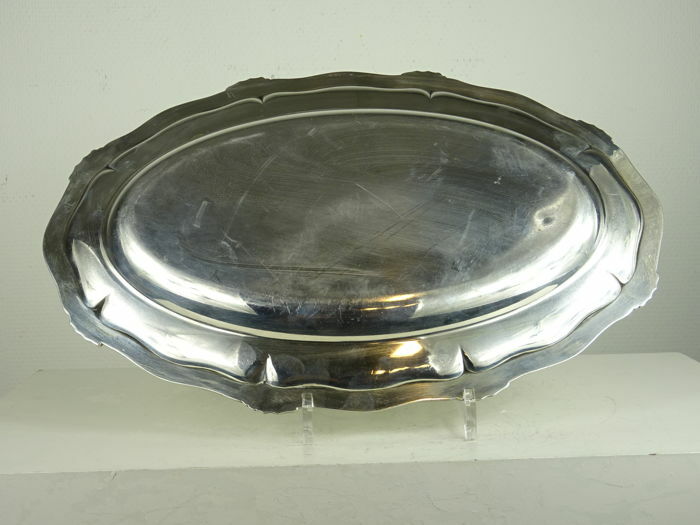 Two silver platee serving dishes by WMF, the round one measuring 34x34cm, the oval 42x27cm, with sculpted borders adorned with stylized vine leaf and berry motif. 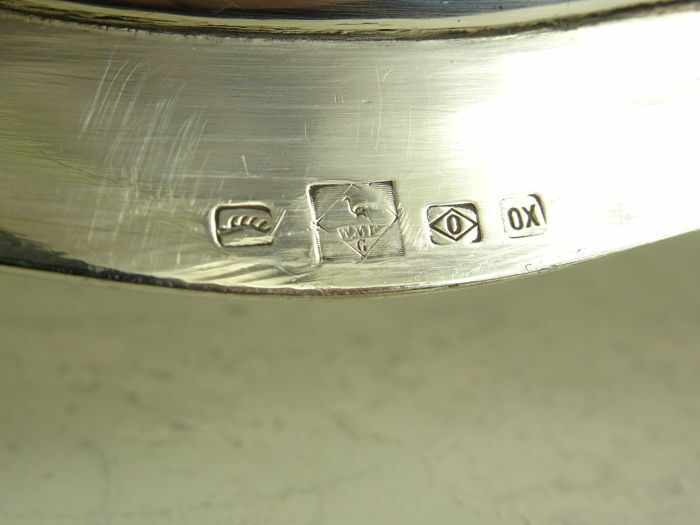 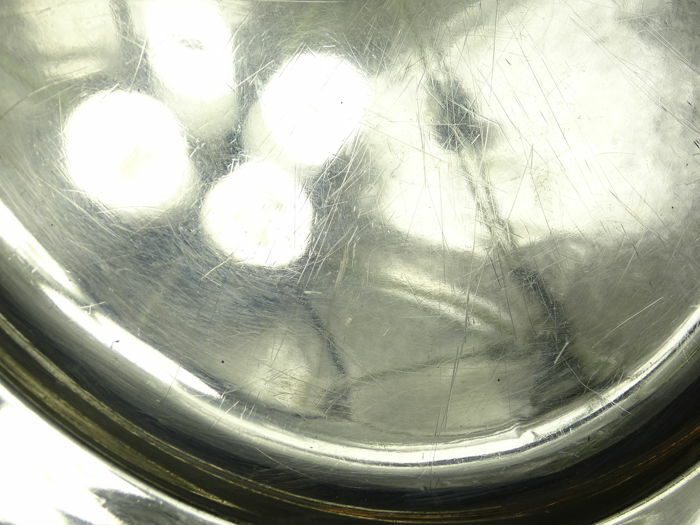 Marked to the underside with full WMF markings. 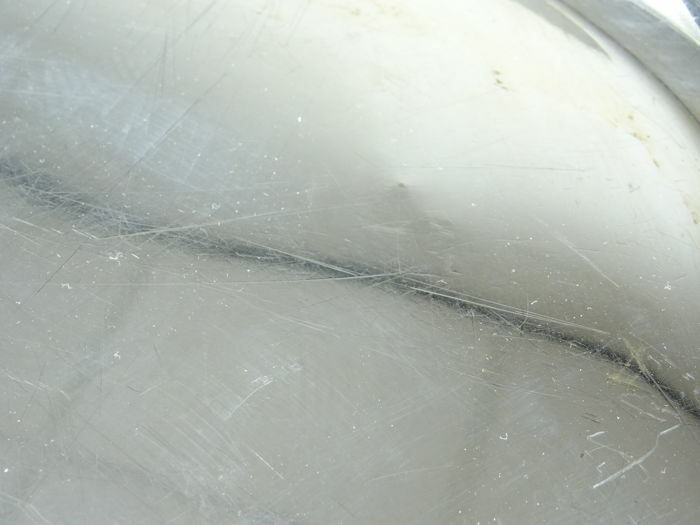 Condition: Scratches, one stain, wear commensurate with use.